At Valtim our affordable, flexible and integrated fulfillment solutions unite with Sage Software’s Enterprise Resource Planning (ERP) MAS 500 suite to support our 146,000 sq ft warehouse operation. Coupled with our more than 30 years of marketing experience, Valtim has the know-how to merge two vital campaign components—creative marketing solutions and well-managed, efficient fulfillment. 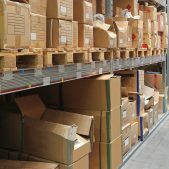 At Valtim our affordable, flexible and integrated fulfillment solutions unite with Sage Software’s Enterprise Resource Planning (ERP) MAS 500 suite to support our 146,000 sq ft warehouse operation. Take control of your packaging with the PriorityPak System – the fast, flexible way to create a complete containment package in one easy step. The PriorityPak® system is a high-speed product containment and protective packaging solution with advanced sensor technology that makes it the perfect solution for fluctuating volume and variable packaging requirements. 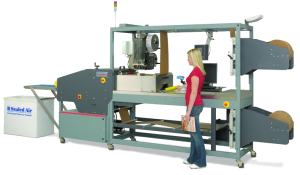 Hand inserting and machine inserting offer clients multiple packaging options. Valtim specializes in multi-matched personalized packages and currently operates with a 99.6 % accuracy rate which is rated “Best In Class”.